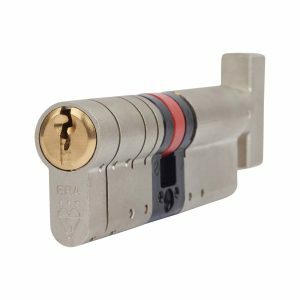 With the cover of darkness giving criminals a significant advantage during the winter period, the Fortress cylinder lock from security specialist, ERA, provides merchants and traders with the opportunity to offer customers ultimate peace of mind that their homes are protected against break-ins this winter. Featuring six hardened high security pins, the lock offers enhanced resistance against lock snapping, drilling, bumping and picking. What’s more, the ERA Fortress has been independently tested to meet the latest security standards including the TS007 3* British Standard, the Sold Secure Diamond and the Secured By Design police security accreditation. ERA Fortress cylinders are supplied with three keys as well as the convenient option of multi-use keys for front and back doors. Available as Single, Double, Thumbturn and Keyed Alike versions, each ERA Fortress cylinder is guaranteed against trouble-free performance for 10 years.